Season’s change is upon us. Kids are back to school, leaves are becoming more colourful and nights have a chill that we haven’t felt for months. With the arrival of cooler weather, we need to be dress baby for bed differently than we did in the warmth of summer. But adding extra layers can be tricky when seasonal temperature changes are subtle. How do we go about dressing baby for sleep? I encourage parents to keep their bedrooms cool at night. If you’ve flipped your pillow over for the cool side, you know exactly what I’m talking about. Sleep is more likely when you’re not hot. Studies show the ideal room temperature for sleep is around 60-67 degrees Fahrenheit or 15.5 – 19 degrees Celsius. Layer up with clothing and coverings from there. For safety reasons, it is very important that you not overdress your infant. Over heating increases the risk of SIDS. It has also been shown that using a fan can decrease the risk of SIDS by over 70%. Keeping children too cool can disrupt sleep, and obviously too warm can do the same. So what should my baby wear to bed? How do I go about dressing baby for sleep? A tog is a warmth rating. Think of each tog as a thin layer of cotton. 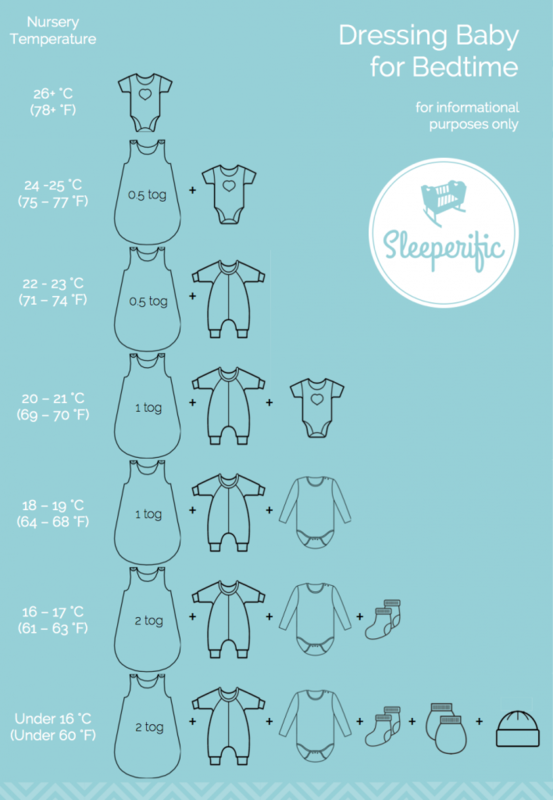 If you use fleece sleepers or have a warmer sleep sack, you’ll likely want to leave a layer (or two) out. Use caution if you need a hat on your infant as well for sleep. It makes more sense to keep your home slightly warmer. As always, trust your judgement and assess your child’s comfort when dressing your baby for bed. There’s variability in humidity, the warmth of the layers, and with your child’s own internal thermostat. Fingers which are cool to the touch might be ok, especially in young babies. Infants aren’t terribly good at regulating their temperature. Icy hands or cold feet are likely to disrupt sleep. That same study* indicates 10 minutes of snoozing in the car will replace a 2 hour nap in the crib. 1. Continue driving The earthy (and busy) part of me says forget it. You’re probably a parent who needs to hustle, just like the rest of us. I need my kids nap times for clean up, meal prep, checking in with clients, etc… not driving aimlessly. It’s worth noting that not all sleep is created equal. 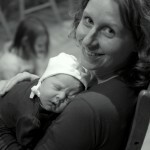 Motion filled sleep in a car/stroller/carrier is not nearly as restful as quiet, dark, non-moving crib sleep. Think of the last time you fell asleep in a moving vehicle and how well rested you felt when you awoke?! Quality suffers with naps on-the-go. 2. Park it Assuming there’s not extreme weather in the winter or summer which would make this inappropriate, you might try parking your vehicle and trying to sustain the nap. This it isn’t going to work if you have other awake children who need your attention, and it still isn’t going to allow you do much else but wait for your sleeping beauty to awaken (see number 1). 3. Transfer to their crib This almost never works, except with the soundest of sleepers. 4. Nap Drill Gently waking the child, any trying for a crib nap again later. If the snooze in the stroller or car seat has been under 20 minutes, gently wake your child learn the facts here now. Have lunch or snack if the timing is appropriate, and then play for at least 30 minutes, trusting you’re still within an hour of when your child would usually begin their nap. Then move along to their room to go through your usual sleep routine. We’re trying to build back that “sleep pressure” or fatigue by staying awake for that half hour. If the nap has been longer than 20 minutes, you may find this little car snooze is a replacement for the nap they were supposed to have in their crib. Very likely a nap drill will fail. Simply move up the next nap or ensure bedtime is earlier. 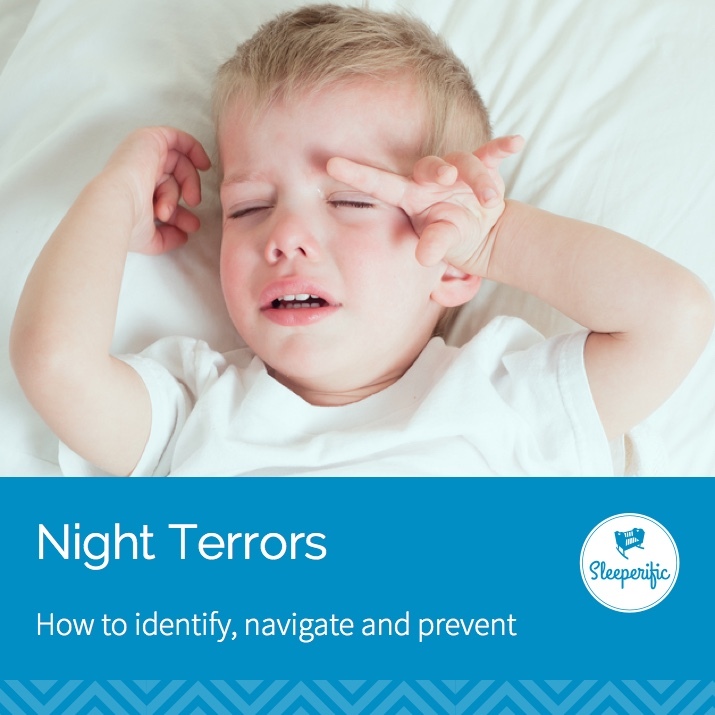 Timing – Avoid trips around nap times, especially within the 30 minutes before nap time. Engagement – Chat with your baby or child, sing songs, turn up the radio and sing along or make like a tour guide and point out the scenery. Give a small toy or a book as you’re buckling them in. A small, minimally messy snack is a great option too. Automatic Windows – They let in fresh air and wind, but the mysterious opening and closing windows are interesting enough to stay awake. One more stop – If you notice someone nodding off, do a safe, quick pull over, or see if you can add one more brief errand or stop to your outing. Getting in and out of the car seat might be just enough to encourage more wakeful time. 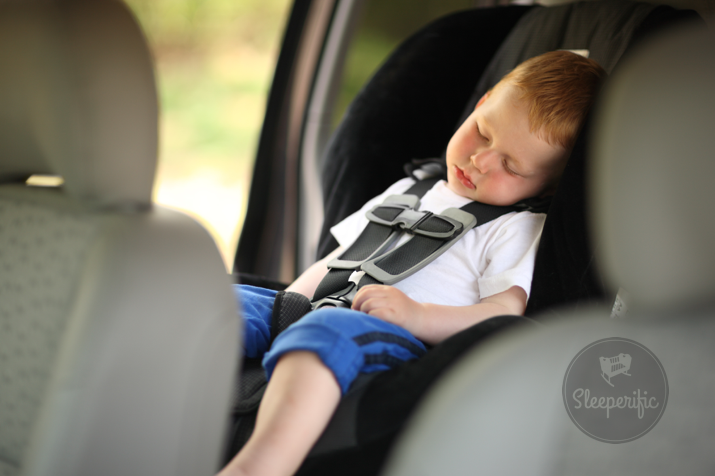 Are car, stroller or carrier naps occurring every time you head out for a trip? A child who is fairly well rested and getting an adequate amount of sleep doesn’t nod off in the car or stroller very easily. 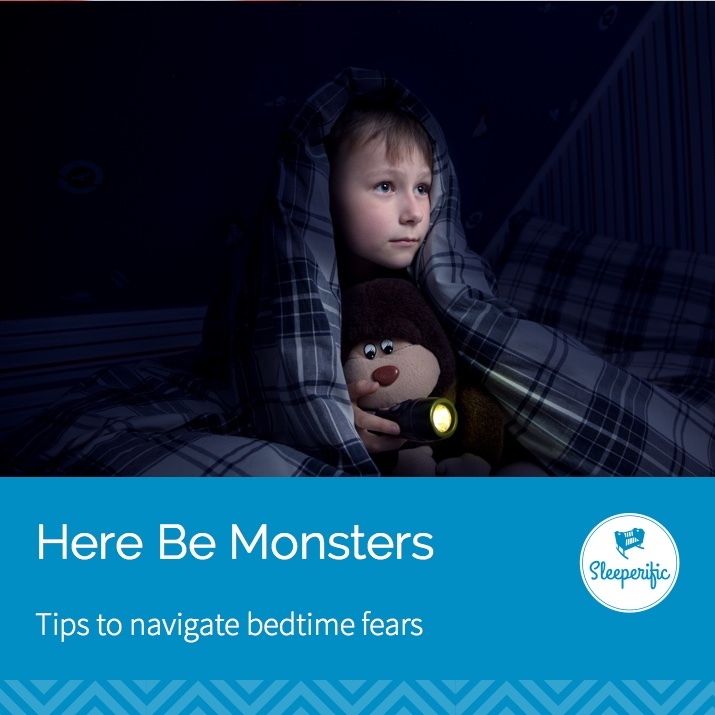 If your child is prone to unintentional naps-on-the-go, evaluate ways to get more quality sleep into your child’s schedule.